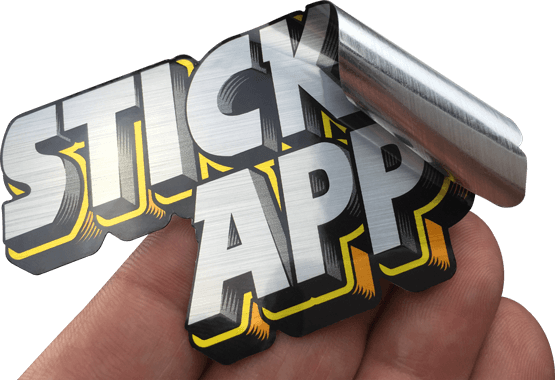 A brushed metal sticker material to give your custom stickers a shiny, metallic effect. Laminated for outdoor use to last in the sun or rain. Print white on this silver brushed aluminum or turn your yellows into gold for a gold foil look. Choose which colors you want metallic or to have white printed behind parts of your design to keep colors opaque.